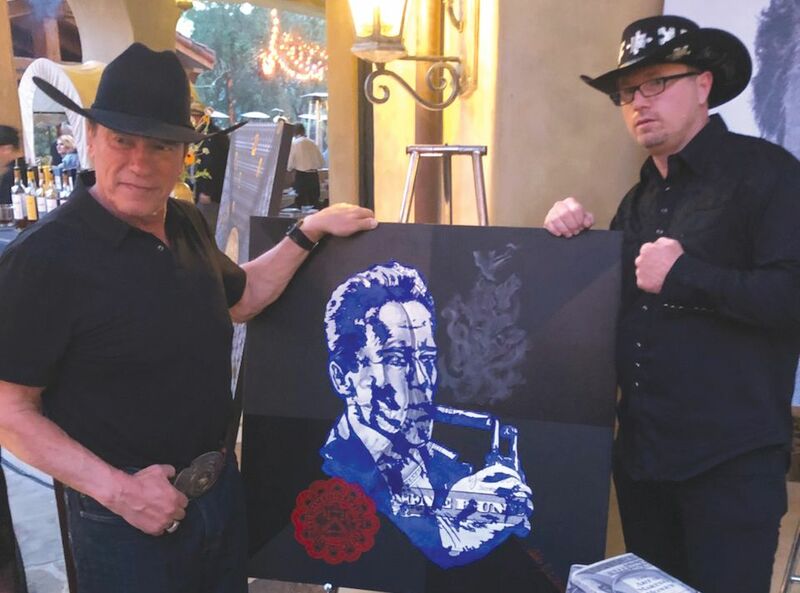 Arthur J. Williams with Arnold Schwarzenegger Photo: Arthur J. Williams Jr.
All sorts of artistic talents end up in Miami, but few have served seven-year jail sentences for forging $100 US banknotes. Arthur J. Williams successfully replicated as much as $10m in fabricated bills in the late 1990s. During his incarceration, he also studied the techniques of Leonardo da Vinci. 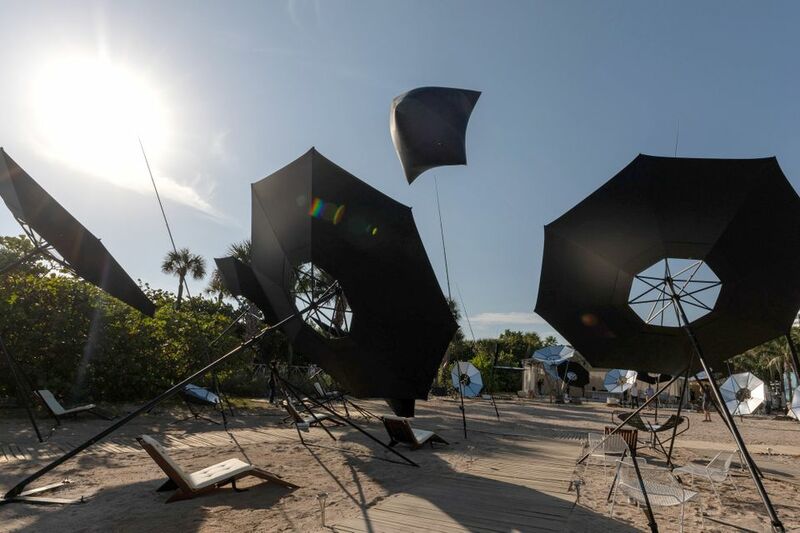 Recent works by the reformed counterfeiter, on display this week at the Setai hotel, are based on the Civil Liberties Act, which granted reparations to Japanese Americans forced into US internment camps during the Second World War. “I hope to serve as an inspiration to others, proving that one can always turn things around, even when it seems you are at the end of the rope,” says Williams, who counts Hollywood superstar Arnold Schwarzenegger among his fans. The former forger is donating a portion of the proceeds of his sales to an after-school programme—proof indeed that this ex-rogue has an ‘art of gold. 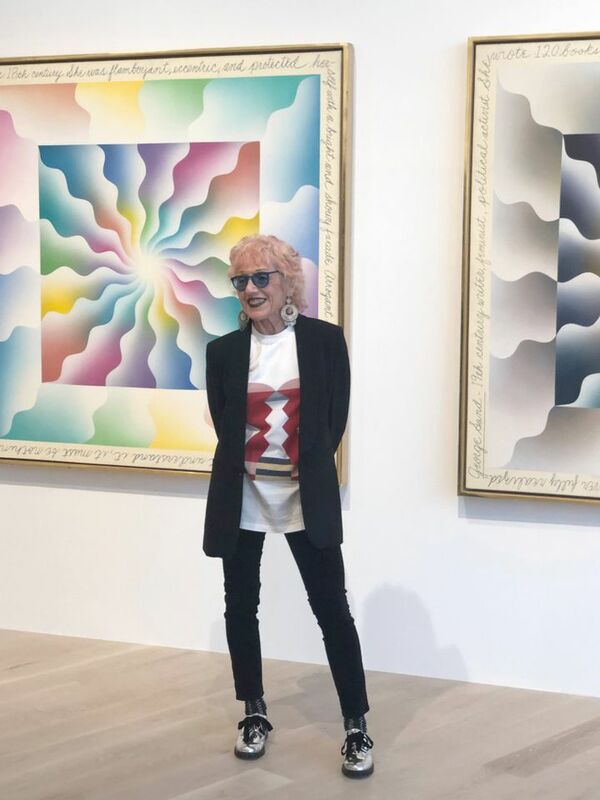 Before Judy Chicago became a pioneering feminist artist with a new solo show at the Institute of Contemporary Art, Miami, she was a five-year-old who loved finger-painting. Her mother enrolled her in classes for children at the Art Institute of Chicago (AIC), and she rode the bus by herself from her home to the museum—a feat that is “inconceivable now”, she says. “Parents today won’t let their kids walk a block to school.” Wandering around the museum gave her “a consciousness of art history”, Chicago says. “That’s why it aggravates me when people assume that feminist art is only for women, because I learned about art by studying the male Impressionists at the AIC. If I could learn from men’s work, why can’t men learn from women’s work?” So, where is that finger-painting that launched Chicago’s career? It found a fitting home with Elizabeth Sackler, who founded the feminist art centre at the Brooklyn Museum, New York.